When it comes to the accuracy regarding our discernment and understanding of the truth, another shortcoming is the prevailing confirmation bias and fallacy when it comes to the consensus-dominated thinking among those in the scientific community. There is an understandable desire to protect society from the ravages of the radical wishful thinking of snake-oil salesmen, who would like to push their passionate beliefs as being accurate. However, the overreliance on consensus has likewise led us to the desire to hold on to ridiculous beliefs way too long. Among these have been ideas concerning the two-dimensionality of the world, blood letting as the key to healing, gravity being caused by human sin, and brain localization. Yes, in too many cases consensus among scientists has delayed for decades if not a century or more ideas that are now widely accepted. Unfortunately, consensus building often leads to little more than a stratification of mediocrity as a consequence of the quest to protect society from aberrant thinking. This most certainly retards rather than promotes the advancement of science. Again, respecting conventional reality, despite the epistemologically imperfect world in which we currently operate, we must accept that the primacy of science in contemporary Western civilization. It is in this faulty truth-seeking environment that those in the mental health arena seek to compassionately alleviate the suffering of others. Realizing that the human brain simultaneously operates with high level of intelligence and mammalian and reptilian urges, emotions, and instincts, Cognitive Behavior Therapy is the current en vogue set of techniques used in mental health. CBT is a conceptual amalgam of Rational Therapy, Cognitive Therapy, and Behavior Therapy – with a tinge of philosophy. It blends both the rational view of the human mind with the belief that there is clearly an irrational side. This respects both the scientific orientation that supports movement toward a healthier condition as a programming proposition while realizing that much of behavior is irrational and subject to conditioning. CBT is not without several flaws – should one take a strictly scientific approach. First, it fails to meet the rigorous standards that would come from empirical observation using double-blind research. By its very nature, CBT does not easily lend itself to this approach. Secondly, as a concept, CBT is starting to show its age. It is a 20th Century concept that matured intellectually in the 1970s. Although variants such as Brief Cognitive Behavioral Therapy and Cognitive Emotional Behavior Therapy have somewhat evolved CBT thinking and more recently several theorists have significantly contributed to the field, for the most part these are mild alterations that tend to be within the consensus safety zone rather than serving as major innovations. Furthermore, CBT theory has shown its immunity to the more recent radical discoveries in neuroscience – to include the many revelations that have come from advances in neuro-imaging. And, CBT theory and practices need to be updated considering the ideas that have come out of numerous efforts to model human mental functioning – a field called artificial intelligence. Again, I realize that like the mainstream dominance of empirical and rational scientific thinking and the consensus obsession, CBT must be treated with considerable respect due to its wide acceptance and use. Regardless, there is another concept that should be considered when we deal with our desire to alleviate human suffering in this delusional and epistemologically imperfect world. In the later half of the 18th century and throughout most of the 19th century, there arose a significant interest in the role of suggestive thinking. This became known alternatively as mesmerism and hypnosis. Based upon further investigation of the poorly researched, largely anecdotal experiences of Dr. Anton Mesmer, during the following century a number of prominent medical practitioners conducted significant exploration into the use of various forms of suggestion and imagination as a way of curing many physical and emotional maladies. Although this eventually led to harsh authoritative protocols in the late 19th and early 20th century and a rejection by many in the already snake-oil ridden medical profession, scientific investigation into hypnosis continued, albeit while remaining on the fringe of acceptability. Unbeknownst to many medical and mental health practitioners, there is a tremendous body of favorable literature discussing the efficacy of hypnotherapy. Still many mental health educational programs and textbooks give way too little exposure to hypnosis as a therapeutic tool – and very frequently denigrate it without even having the courtesy to appropriately define it. It was not until the 1950's, when the late Milton H. Erickson, MD, was officially challenged by many of his colleagues, that hypnosis came into at least a minimal level of official respectability among those in the medical and mental health fields. Unfortunately, Dr. Erickson rejected many of the historical techniques that he considered as being too direct and authoritative. This led to acceptance of a severely watered down trance-centric form of hypnosis that seemed to be an offshoot of Freudian psychoanalysis. The goal of this system was predominantly to use a trance state to create a dissonance from which a client would naturalistically derive a solution. Being Freudian in nature, this centered on the primary role played by the subject's subconscious mind. Despite the fact that the concept of psychoanalysis no longer dominates the practice of mental health as it did a hundred years ago, Ericksonian skills are still widely taught to many practitioners as the preferred hypnotherapeutic method. This creates somewhat of a conflict that this Institute hopes to resolve by applying a wider view of hypnotherapy when is comes to mental health and specifically to the application of CBT. Incidentally, the Freudian concept of a subconscious or unconscious mind lacks scientific validation even though it has crept into cultural, presumptive credibility in the minds of Western scientists. It is a concept that is foreign to most of the world's cultures. Therefore, this means that much of Erickson's ideas are outdated and flawed when it comes to the efficacy of hypnosis as a therapeutic tool. Although his basic theory is predominantly psychoanalytic in nature and thus should somewhat be redacted along with much of the Freudian tradition, the genius of his linguistic works clearly have an enduring value. Over the past few decades I have sought to correct the problem regarding the misconception of hypnosis within the medical and mental health arenas. Although I see no need to go back to the authoritarian tends that Erickson wholeheartedly rejected, there are several key ideas that he missed. The first involves the role of the negation of the critical faculty that was espoused so clearly by David Elman, an Erickson rival in the 1950's and 60's. Elman said that the hypnotic state is a condition, which arises when brain's critical function is bypassed and thought can become more selective. This appears to be more in line with contemporary research, which includes several studies and peer-reviewed published papers by Professor Amir Raz at McGill University and SMBD Jewish General Hospital. I would quickly add to this the work of Nobel Prize winner Erick Kandel, MD, PhD. And, this line of reasoning is also supported by much of the work done by many other neurologists and even those who model the human psyche for the purpose of replicating mental function in robots and computers. Essentially, what I have gleaned from this is that the right prefrontal cortex of our brain gives us the opportunity to simulate and anticipate our future. This in turn drastically affects our present assessment of reality as well as providing another way to filter our past memories and present experience. As a hypnotherapist, I rephrase Kandel's concepts of simulation and anticipation as suggestion and imagination, which have always been the mainstay of the hypnotist's activities. It is through the use of these two actions that the hypnotic process begins. Please note that I am no longer calling hypnosis a state as it is more correct to view it as a process, which precipitates many states. While what Erickson and his cohorts call a trance may be one of those states, the effectiveness of suggestion and imagination does not require it. Elman demonstrated that a confident operator could achieve any of the results that were associated with Erickson's trance state. He called the process "waking hypnosis." The problem is that many of Erickson's intellectual descendants never spent the time to develop the requisite skills and confidence. But what of Elman's critical faculty? Clearly, there is a neurological entity that retards the ability for suggestion and imagination to function. This reality-checker provides us with much needed emotional stability and aids us as we maintain our sense of personality. However, this is problematic for the person who is stuck with a certain dysfunctional model of the world (or schema – using CBT terminology). From my readings of recent neurological findings, this function seems to be centered in the brain's left prefrontal area. If that part of the brain can be relatively inactivated through the use of medication, transcranial magnetic stimulation (TMS), or hypnosis, the subject's thinking becomes more efficient. This means that the subject can more effectively choose their thinking patterns, which seems to support the basic premises of Rational Therapy and later Cognitive Therapy – although that is not the same conclusion that I will soon offer. Therefore, discounting the other two mentioned interventions, hypnosis is the process that improves the efficiency of the subject's ability to select their thoughts. So how does this relate to the fact that we live in a delusional world of our making? And, how does this relate to the predominant mental health preference for CBT as a set of interventional tools? If the subject exists in a delusional schema that is causing suffering, there is a need to help therapeutically. 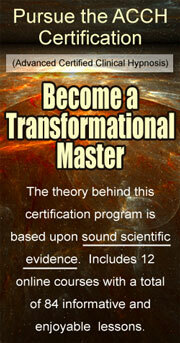 CBT offers a wide range of methods to do so. In order to understand how suggestion and imagination can be used to enhance the CBT process, one has to understand its six phase approach. Leaving out the first and last step – and even the second step (Reconceptualization) as well, three of the operational steps can be greatly enhanced through the use of hypnosis. These are Skills Acquisition, Skills Consolidation and Application Training, and Generalization and Maintenance. It is these that particularly interest me. As the hypnotic process does not rely on the brain's rational ability, its value can be found mostly in these three steps. This is because the thought that is made more efficient by the hypnotic process does not necessarily need to be a rational one. Once the brain is made more suggestible, the subsequent suggestions have a greater affect on the subject's neurophysiology. It is our view that by reducing the brain's proclivity for resistance to pattern alteration (i.e. resisting transformation) and specifically effectively using imagination and well thought out metaphoric and/or direct suggestions that support the three key CBT steps just mentioned, a therapist's results could be greatly enhanced. 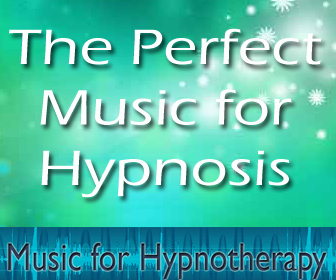 As supported by a high volume of documented peer-reviewed research, the hypnotic process can assist the subject's neurophysiology as it accesses numerous resources, which would facilitate the desired end state. This should vastly accelerate therapeutic progress. Thus it is not important that we clarify (hence, denigrating the value of CBT step 2) the rationality of the subject's thinking or resolve their delusions through wit and argument. In conclusion, we understand that the predominant consensus-oriented scientific approach will co-exist with the reality of our deceptively delusional mind and that in the foreseeable future we anticipate that CBT will remain the predominant therapy of choice among mental health practitioners. In that environment, we see that a more accurate application of hypnotherapeutic techniques has a significant capability to enhance the treatment of many recognized mental health disorders.